An evening post, a bit late I know. Today I was wearing my new Acne parka which I bought on my shopping trip in Aarhus (Denmark) last week. As you can see, high summer is still not here, although it supposes to be. The weather has been a bit precarious lately, some sunshine, some showers, still no real summer in Holland. But I don't care, because I can wear new clothes I've bought for coming fall, so maybe we'll just have to skip the summer and go on to the fall-winter. Much more fun to dress up in layers and with coats, scarfs and too much accessories. Can't wait! Love the new parka, super cute! Thanks so much for stopping by and commenting on my blog! Newest follower! 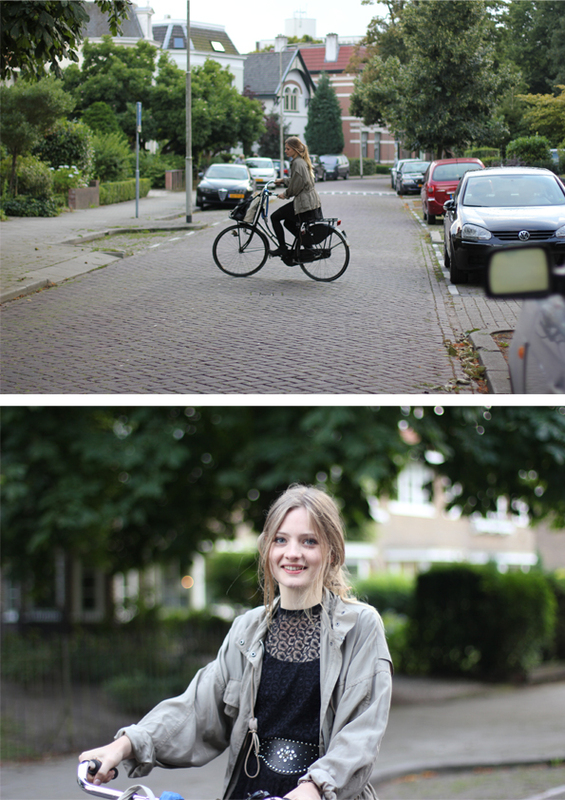 Ah, wat leuk die fietsfoto´s! Je ziet er fantastisch uit! Mooie parka! 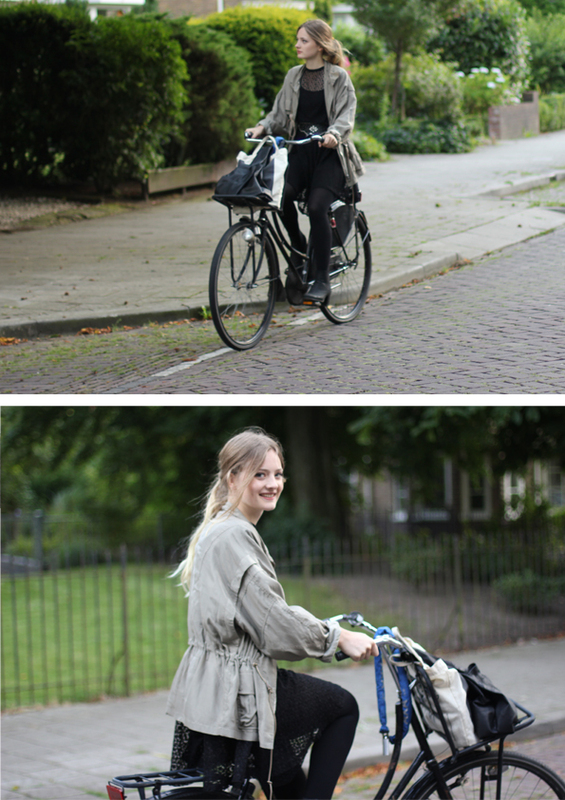 What a lovely way to look stylish but be practical for riding a bike! You look adorable! I love it! Your photos are always great and the GIF is perfect. Love your outfit too. It's a very nice new parka. These pictures are very cool, love the outfit as well!